The global demand for corrugated fiberboard is projected to experience a significant upsurge in the near future. board thickness, and three lengths of load-bearing walls (total, single-wall, and double-wall) of the containers. accelerating packaging development cycle times and optimizing packaging designs. 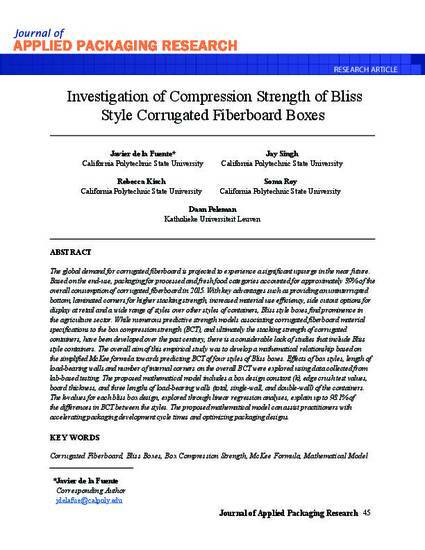 "Investigation of Compression Strength of Bliss Style Corrugated Fiberboard Boxes," Journal of Applied Packaging Research: Vol. 10 : No. 4 , Article 4.